racketboy.com - View topic - 3D Bluray option - Dead or still viable on 4k TVs? 3D Bluray option - Dead or still viable on 4k TVs? A question, with 4K becoming more popular, is the 3D option dead or still viable on 4k sets? This was brought up in the Hunting Retro Games thread, moved here with quotes of replies for continued discussion. samsonlonghair wrote: As far as the consumer electronics consortium is concerned, 3D television is officially dead. I'd say wait it out a couple more years. You'll find all that 3D stuff on the shelf of the thrift store next to the HD-DVD players for cheap. If you're still interested in 3D television then, pick it up for peanuts. isiolia wrote: Kind of depends on how you look at it, I guess. Far as I've seen, 3D content at actual 4k resolution is...not really available for consumers. To be fair, I'm not sure how standard it even is for theaters. The hardware is there, but fairly recent, and 2k was the standard for that even a couple years back. Either way, the 4K Ultra Blu-ray standard does not support 3D. However, that doesn't mean your Blu-ray player and 4k TV can't support playing backback of good ol' 3D Blu-rays, and there are a good number that do. In turn, there are still 3D Blu-ray releases...though at this point, you're often going to be choosing which release to spend a few bucks more on - the one with the 4K Ultra disc, or the one with the 3D disc. Personally, I'm inclined to go with the former (despite not having a TV that supports either). I suspect it'll stick around as a niche thing though, as long as there are still theatrical 3D showings. Once the source material for releases isn't there, it'll probably be dead. Thanks for the responses. This was my impression, 3d a neat method of movie viewing that is a passing fad. Too bad, sometimes the 3d really popped out when I watched the display demo at Best Buy. The crazy part is once 4k is established, maybe 4k 3d might come out forcing yet another upgrade of a favorites movie library! @ sam - Great read in that link, thank you! @ isiolia - Will a 3d bluray player with 3d disc and 3d glasses work on 4k TVs? I had moved up to Bluray except for 4:3 movies due to the bluray squeeze, doubt if I would ever get a 4k player. Certainly never needed since I am a die hard HD CRT preference. The 3d blueray question just a curiosity of future marketing. One might ask, “What’s the point of a 4K TV when your eyes can’t tell the difference between 1080p and 2160p?” as noted by CNET’s Geoffrey Morrison in his article, “Why 4K TVs are stupid.” Well, it turns out that this difference is very important when it comes to 3D. Active glasses shutter open and close very quickly. Passive glasses, which are the glasses that movie theaters use, are cheaper ($10-$20) than the expensive, ($20-$150) battery-powered, active glasses. 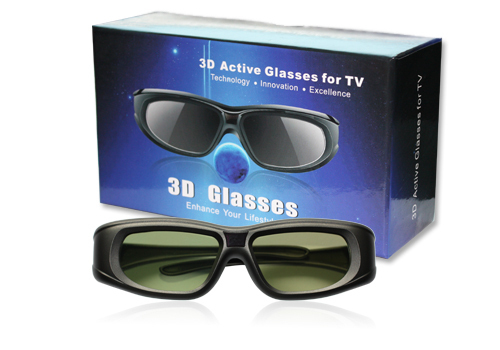 Passive glasses use polarized glasses, and the TV has a filter that polarizes each line of the pixels. Passive 3D definitely seems like the better option of a bad situation, right? But then, 4K TVs are introduced, and I found an article called “4K TVs with passive 3D: Finally, a good use for all those pixels” by CNET’s David Katzmaier. A 4K TV’s resolution is 4,096x2,160 pixels, which means that passive glasses allow viewers to see 1080p resolution! Ta-da! Re: 3D Bluray option - Dead or still viable on 4k TVs? CRTGAMER wrote: @ isiolia - Will a 3d bluray player with 3d disc and 3d glasses work on 4k TVs? If the TV supports it, same as with 1080p TVs - though I think sampson was right in saying it was dead, as all manufacturers ended up dropping it as a feature last year. Still leaves plenty of sets from previous years out there that do work for it - likely many of which that don't support the HDR standards that'll end up selling some of us on a 4k TV. Realistically, if a TV has decent specs to start with (high refresh rate for instance), I don't think 3D is a particularly expensive thing to add. So maybe someone will decide it's worth having just to stand out in the market.